You are right, I could have sworn I read that there. Nevertheless one is digging in the ground, obviously searching for minerals or metals and one is harvesting a plant in that picture. I am quite sure I must have read it somewhere, I did not come up with that mineral, vegetable anlogogy by myself. Maybe it was in the Donum Dei, or in "Kurzer doch deutlicher Schlüssel, Derjenigen fremden Wörter, Welche in Abraham dem Juden enthalten sind", or in Abraham Eleazari's "Uhraltes chymisches Werk". If I find it, I'll post the source. The guys digging in a GARDEN does not necessarily imply anything about minerals. When alchemists spoke of "minerals" they generally understood things found in mines or in the mountains, not in man-made gardens. So unless the picture in question is accompanied by a more explicit statement condemning minerals, this is just an assumption. You might as well guess that the author actually meant vegetables that have to be "digged" from beneath the earth, like onions or carrots, for example. Regarding the first way. What is the Universal Menstruum? Out of this our undetermin'd Green-Dragon, without the addition of any other created thing whatsoever, we know how thro our Universal Menstruum to extract all of our Elements or Principles, necessary for the performance of our great Work. As literally given in that quote, evidently nothing, as no such "undetermined" matter exists anywhere except in such authors' theoretical fantasies. The whole thing is actually a ruse to perplex "unworthy" seekers into wasting their time & money searching after something that does not exist. The "Green-Dragon" (or "Green Lion", or whatever other fancy "deckname" you want to call it) is actually an artificial composite of several matters, all of them "determined", like everything else that has substance and exists. XXV. 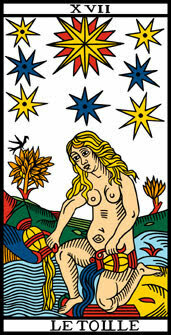 The Universal Menstruum of the Philosophers is that Celestial one, without which nothing can live nor subsist in this World: 'tis also that noble Champion, which delivers time uncorrupted Virgin, Andromeda, who was with a strong Chain fastened to the Rock in the power of the Dragon, of whole spiritual Love having admitted, for fear of being eternally ruined and devoured by him (which could not have been avoided, if this noble Champion had not come to her assistance) She is to be delivered of a Child, which wilt be the Wonder of Wonders, and Prodigy of Nature. Thank you both. I was also wondering where the Universal Menstruum originates, in the first way of the Aphorisms it sounds like the Green-Dragon? Last edited by Seraphim; 09-19-2018 at 06:19 PM. The Universal Menstruum does originate with the Green Dragon and/or Green Lyon. The Green Lyon is the starting material. The Green Dragon is the matter after the first rotation. The Elements provided by the Green Dragon are undetermined by Nature meaning they are free of the determination of the Elements that represented the previous state of the starting material the Green Lyon. In other words the Elements that make everything were determined by Nature into the form of the Green Lyon the artist starts with. After the rotation of the Green Dragon the Elements that were determined into the existence of the Green Lyon have been broken from that determined form. From there the artist can determine the Elements into other forms or generations. In the picture posted by Florius Frammel two artists dig in the earth. Another is balancing the scales by the three streams that originate in a mine entrance at the base of a tree. The two digging are "mining for Elements" symbolically; the mine entrance is in the base of the tree. Their labor opens the mine and the three rivers or streams issue from the mine entrance. After that it is a matter of balancing the scales to determine the Elements Philosophically. The three streams represent the three Principles Mercury, Sulfur and Salt. Two streams separate then rejoin. Those are Mercury and Sulfur. In the Vegetable world Mercury is our Water, a most sharp water unpleasant at first full of crudities. Sulfur is a stinking tarry oil even more unpleasant than the water in its first crude undetermined state. Those two streams are separated then rejoined in the process of balancing the scales which is the process of removing the crudities or feces from the Mercury and Sulfur and the Salt; also it is the way of conjoining the purified Elements and Principles. Balancing the scales is how the work is performed. Ripley says each rotation refines the Mercury and Sulfur. Then gives them new names causing further bewilderment to the reader. It is the Salt that finally determines the Menstruum to what Kingdom the artist wishes. This is a thought provoking statement. Have you read this somewhere ? I was reading Urbigerani and found there are two Elixirs. In Urbigerani the Circulatum Minus is a specificated Vegetable Elixir of the Vegetable Kingdom. The Circulatium Majus is a Universal Grand Elixir commanding all the three Kingdoms of Nature. Does anyone know the differences between these in appearance or form?